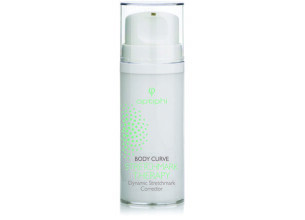 The optiphi® Stretchmark Therapy addresses and corrects stretchmarks to even skin tone. This product will strengthen skin structure and improve skin cohesion by stimulating fibroblasts for increased collagen synthesis. It treats existing stretchmarks by increasing skin elasticity and firmness as well as increasing cellular activity, whilst repairing and restoring skin for a refined silhouette.